This WS-WGS Dog Ring site is owned by: Karen M. Carloni! Would you like to join our ring? Evert Kipp and Ingrid de Jong, owners of Koszja, the White Shepherd. 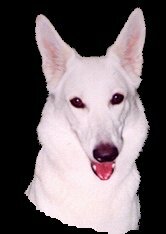 Want to join the White Shepherd Web Ring? The American White Shepherd Association.